Whether developing a roadway model or writing a Traffic Impact Analysis report, the work of a Civil Engineer involves a wide variety of intricate tasks. Meeting this multiplicity of projects with an eager work ethic and a flair of fun is Civil Engineer Corona Woychik. Corona’s dedication to tackling challenges and improving her professional career is rivaled only by her efforts to beat her colleagues in Nerf wars. Let’s meet Corona. What does your typical day at ISG look like? Depending on interests and current projects, each day is different. Sometimes a lot of the day involves Civil 3D, which is a civil engineering software that organizes surveying, designs, analysis, and documentation, to work out the kinks of a roadway model. I am also involved in compiling Traffic Impact Analysis reports and creating cost estimation sheets. It really does vary, but it keeps the role interesting. What has been one of your favorite ISG projects? My favorite projects are the ones where there is the opportunity to learn and grow as a professional, the projects that are challenging. And in one way or another, all of my projects have accomplished that with the first "big" project as no exception. This particular project involved a team of people, but not all of the members were in the same office, so learning how to coordinate efforts despite the distance proved to be a very unique experience. I also had the opportunity to develop my first roadway model – skills that have since been built on and remain essential in my current role. What is one piece of inspiring professional advice that helps keep you reaching for more? "You can have it all, but not all at the same time." The balance between working and having a personal life is a topic women in particular take into consideration. There is a lot of advice surrounding it, but this statement is the most honest and realistic. There are only so many hours in the day and so much brainpower one can muster. Right now, I'm focusing on being the best professional I can. Life is a journey that is meant to be wandered. Civil Engineers aren’t only about the numbers – what’s one fun CE fact? 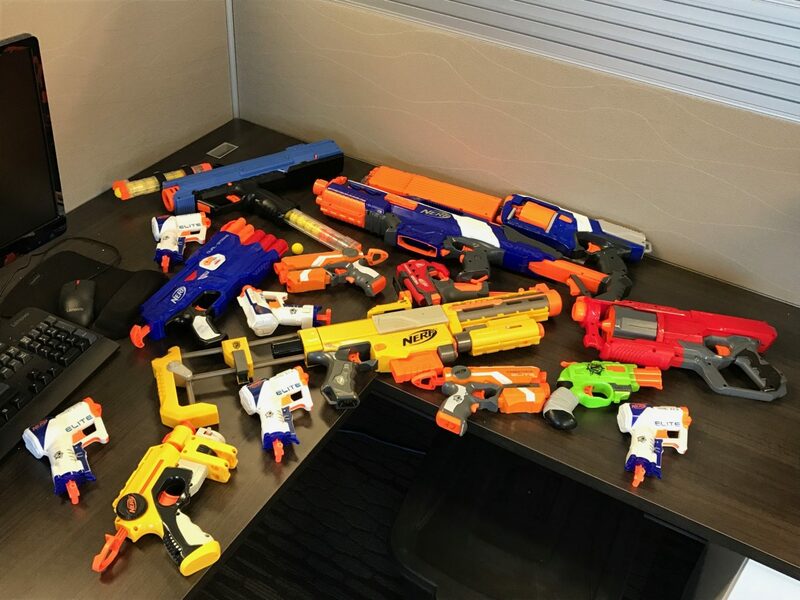 Civil Engineers can hold their own in a Nerf war against the vertical (architecture) team. Summer heat has us wondering – What ice cream flavor best exemplifies your personality? Vanilla. It may be seem plain and unexciting at first, but it is the most versatile flavor you can dress up and change to fit every palate. And no one hates vanilla. Corona seizes her challenges in ISG’s La Crosse, Wisconsin Office, expanding her skillset and expertise in Civil Engineering.